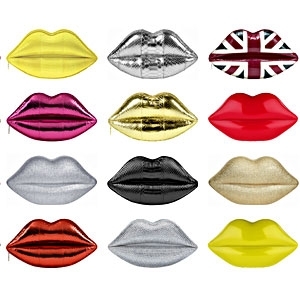 Win the iconic Lulu Guinness Lips clutch! Yes, you really can win a Lulu Guinness clutch, the uber-famous, often replicated Lips clutch. The distinctive bag is so gorgeous and covetable and has an army of fans including Katy Perry and Agyness Dean. All you need to do is hop over to the Lulu Guinness website and pick your favourite lip colour, simple as that. Be quick though, the competition closes this Friday! Come nightingale, tell me the word.The mountain from which you came is blessed.The rose burns you, my love burns me.You are crying, I will also cry.Thanks.